What is AntiGravity Aerial Yoga? 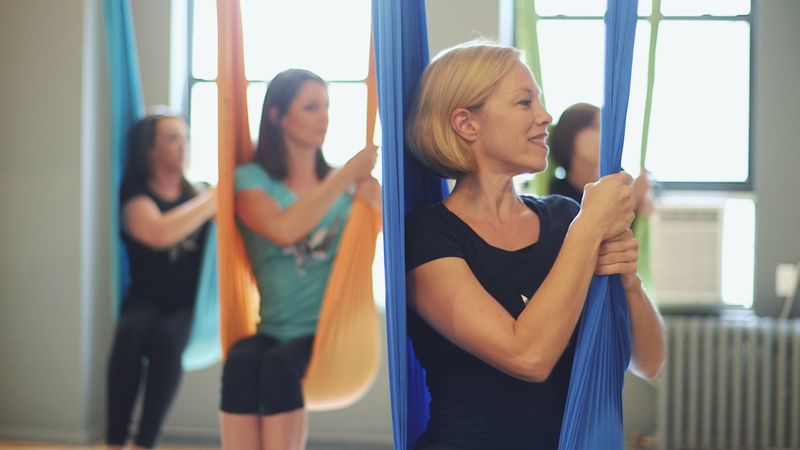 Mindful Child Aerial Yoga is officially a licensed AntiGravity studio! This means our instructors have completed AntiGravity training , we use Harrison AntiGravity Hammocks, and we meet the safety standards associated with being an AntiGravity studio. AntiGravity is an aerial yoga fitness technique designed to improve one’s health and fitness while having FUN! AntiGravity uses the Harrison AntiGravity Hammock as a yoga prop to support you as you learn aerial yoga techniques and inversions. This unique combination of exercises is intended to decompress your spine and align the body while stretching and strengthening your muscles. Seriously? What more could you ask for in a fitness class! AntiGravity was founded by Christopher Harrison. He is a former Broadway dancer and world-class competitive gymnastics specialist. At the age of 20 he suffered a major injury that required eight surgeries to reconstruct his knees. Christopher Harrison spent the next two years rehabilitating himself through rigorous physical therapy and Pilates. His resilience led him to discover, “In life, hidden in the forces that pull us down is the energy to lift us.” In the early 90’s he created AntiGravity, the first aerial yoga practice! What are the benefits of AntiGravity? 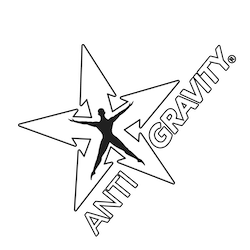 AntiGravity has many beneficial effects on overall health in adults and children. Christopher Harrison personally guarantees: If you can “suspend your disbelief: I guarantee I can make you healthier, happier, and taller, in just one session. These are just a few of the many benefits of AntiGravity. While it is great read about the benefits the true magic is in experiencing them first hand. Join us a for a class! After all, who doesn’t want to be healthier, happier, and taller?! ?